You thought a Colossal Stone crab was big? 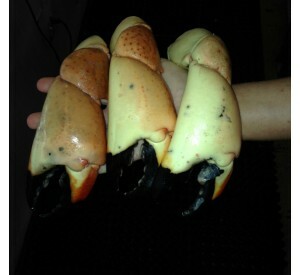 wait till you see our Super Colossal stone crabs! 2 claws is over a pound! Call the shop to see if they are in stock!